Heart Of A Dog. Our flashbacks this time are on Rene AKA Wild Dog, and a couple of years ago, when he had a wife and daughter. Before going to a big ball game with his daughter, he goes to get a handgun from his safe because safety and all. When his wife voices concern about this, he lets her know that she’s been using drugs…again. This family has problems, but when father and daughter return from the big game, it gets worse. They find the place a mess, and a drug dealer threatening Rene’s wife for holding out on paying him for drugs she got. Well, things get messy when a fight breaks out with Rene killing the drug dealer, and by accident, that drug dealer killing Rene’s wife with a stray bullet. This clearly messes Rene up, because we cut to some time later as he has lost custody of his daughter and is a wreck. 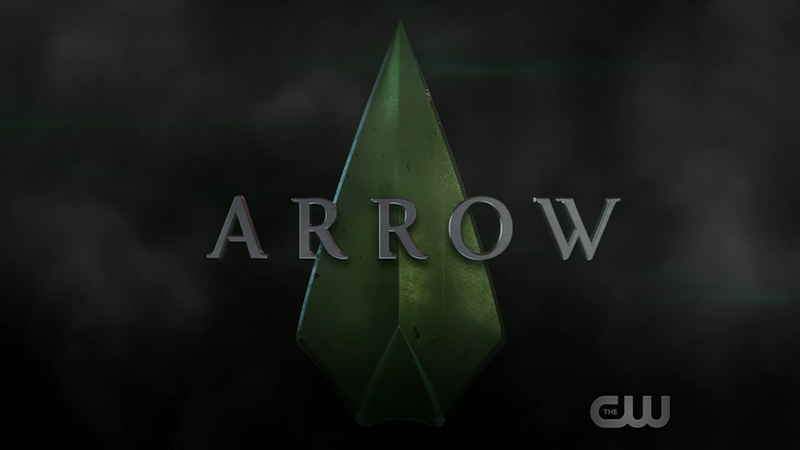 But he watches the news of Damien Darhk getting killed by the Green Arrow, and thinks, hey, I can do that! Massacre. In the present, Thea is back to see everyone in the mayor’s office, and oh, so much has changed. Ollie’s dating that reporter Thea doesn’t like, Rene is there as Quentin’s aide, and DA Adrian is there too for this reunion. Quentin has to excuse himself for a meeting, but as he leaves, he passes some guy with a worker’s jumpsuit and a huge duffle bag. That guy pulls out a machine gun from the bag and starts shooting up the office, wounding and killing staff, while injuring Adrian non-fatally. Rene just happened to have brought a handgun with him and shoots the guy in the chest, only to find he’s got body armor. The gunman escapes, while Ollie and company tend to the injured. By the time the shooting stops, seven are dead and nearly a dozen are injured. Who would do such a thing? After Tragedy. As Ollie’s clearly rattled by this slaughter at his office, everyone else in and around Team Arrow is trying to figure out who is responsible for this. Quentin provides a sketch of the guy, while Felicity gets the machine gun left behind at the scene to find any clues. But seeing as this is an extremely popular assault rifle, its not as easy to track down a specific owner. This causes some tension with everyone, like Second Amendment aficionado Rene and gun control guy Curtis, and Felicity, is not up for playing moderator for this debate. Ollie goes to the hospital to visit Adrian, who’s wife (!) is trying to keep him from going back to work. Adrian thanks the Bertinelli crime family has something to do with it based on the info Ollie brings, and after some convincing, agrees to rest up in the hospital. That leads to Ollie pointing that assault rifle at one of the Bertinelli big wigs, looking for answers. The guy says they had nothing to do with such a brazen attack on city hall, as before we can get more, Vigilante shows up and guns the dude down. Ollie is kept from pursuing Vigilante once he escapes, as Felicity finally has found out who is behind this attack. And its…a 40ish systems analyst with no criminal record? What? Where You Stand. The shooter, James Edlund, we learn had a family until they were killed in a mall shooting two years ago. He was also an advocate for a local gun registry act that was shot down by the previous Star City administration before the mall shooting. So the Team is sent out to find the incognito Edlund, while Ollie has to deal with the press, especially when they grill him on his opinions on gun control. He can’t really answers those questions so easy, and finds himself confessing to Thea and Quentin that he’s not sure what to do. So he comes up with an idea: he wants to talk to whoever he can from the previous administration about the failed gun registry act. Its a risky political move, but he rather it just be about saving lives. 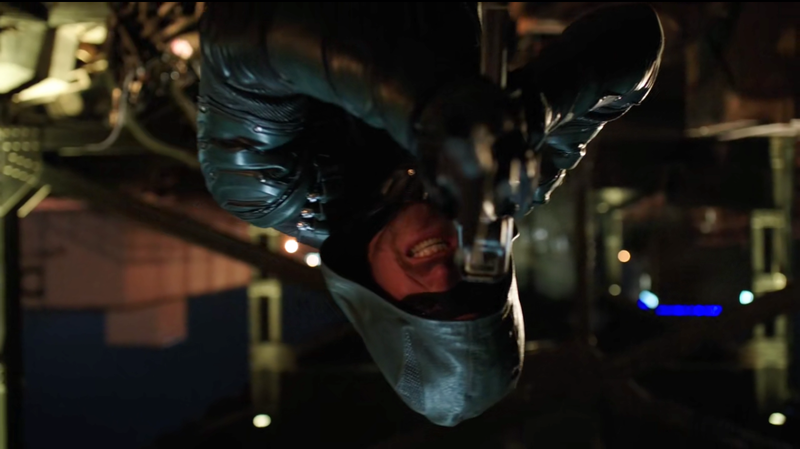 Seeing Green Arrow upside down is one thing, but him pointing a machine gun at your face is crap your pants time. The Issue At Hand. He meets with the councilwoman responsible who shot down the bill, and finds they both have an impasse. She’s not for infringing upon gun owners rights, and Ollie wants to safeguard the people he’s been sworn to protect. So he suggests they sit in and iron out a amicable solution for both of them. Meantime, after a brief talk about how civil discourse is out of favor these days from Curtis, him and Rene get sent to a support group that Edlund went to. 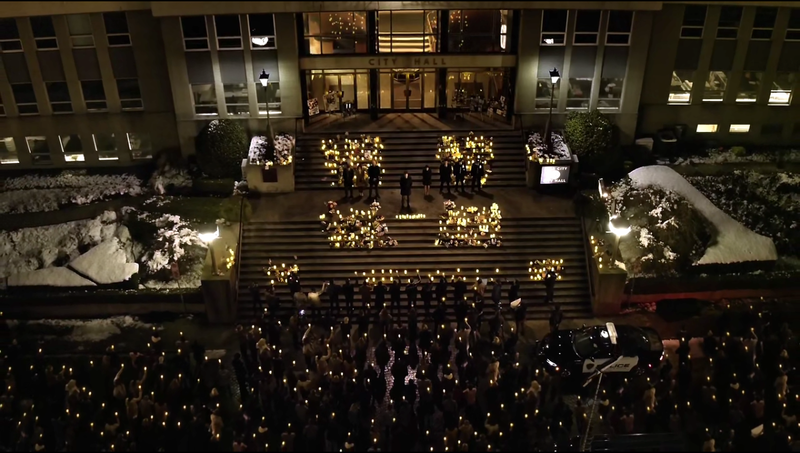 They get an address for Edlund, and find his plans for the city hall shooting, as well as another target: the local hospital! A Nobody. Ollie gets news of this while talking to the councilwoman, so he puts this conversation on hold while he goes to the hospital. The Team and the ACU arrive there, but its Ollie as the mayor who runs into Edlund, who is setting up for another massacre. Ollie tries to talk down Edlund from going through with his mad plot to force a gun suppression bill through, and then to stop Edlund from killing himself. And without having to fire a single arrow or pull a sleeper hold, Mayor Oliver Queen gets Edlund to surrender himself to the police. Keep On Living. Meeting with the councilwoman the next day, we learn Edlund is pleading guilty to his crimes, and Ollie offers a solution he talked about with Rene: his own bill for gun control that is not some draconian stab at second amendment rights. It seems like its enough for now. Plus, after Curtis hears about what happened to Rene’s family, and in an olive branch, offers help to get Rene’s daughter out of foster care and back to him. Oh, and Dinah had some issue about getting a new apartment, but she settled that and is becoming a cop in the SCPD. That also happened. At a nighttime vigil in front of city hall, Ollie talks about the passing of his new bill for firearms. But, he also mentions how the most important decisions to make are the hardest, and when it comes to protecting rights of gun owners and protecting civilians from lethal weapons, its a hard fight that both groups have to be brave enough to find a solution for. Finding a solution together. Not a bad place to start. No words needed for this. –Comic book connections: Mad Dog has made some brief appearances in the DCU since the late 80’s, but his biggest time in the spotlight came from a miniseries in 1987 (written by A History of Violence writer and writer of the Quarry books, Max Alan Collins) and a weekly spot in Action Comics, when it became an anthology book starring Superman, until 1989. –So the guy who might be Prometheus has a mom that has vanished into Witness Protection, and thanks to Felicity’s little Pandora’s USB stick, is a step closer to finding her. –Yeah, there’s a lot of hammy dialogue that gets too on the nose (especially in a show where people getting shot is more commonplace than anywhere else), but its important and by the end, its more an issue left to discuss with the viewer than presenting a one-sided argument either way. –Thea still doesn’t like reporter girlfriend, because unknown to her, she’s probably right.